The Qatari armed forces have participated in the "Joint Gulf Shield 1" Drill in the Kingdom of Saudi Arabia, Qatar News Agency said. The military drill was conducted in the town of Ras Al Khair, north of Jubail city in the eastern region of the Kingdom, from March 21 to April 16, QNA quoted the defence ministry as saying. 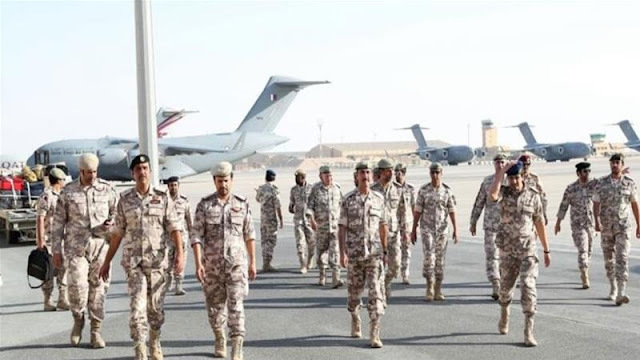 A number of officers from the Qatari Armed Forces, led by Brigadier General Khamis Mohamed Deblan, participated in the exercise, along with land, sea and air forces from 25 other countries. The exercise featured a number of stages, including a command centres drill and field training. It concluded with the implementation of the exercise of regular and non-regular fire with live ammunition, in addition to a military parade. The participation aimed at strengthening brotherly relations, exchanging experiences and taking part in all that would preserve the security and stability of the Gulf Cooperation Council countries and the Arab and Islamic region. According to QNA, the closing ceremony was attended by the Qatar Armed Forces' Chief of Staff, Major General Ghanem bin Shaheen al-Ghanem, at the invitation of his Saudi counterpart Lt General Fayyad bin Hamed al-Ruwayli.